Elaine Hancock (Olney, United States) on 29 October 2012 in People & Portrait. Learning the art of snagging a fish. 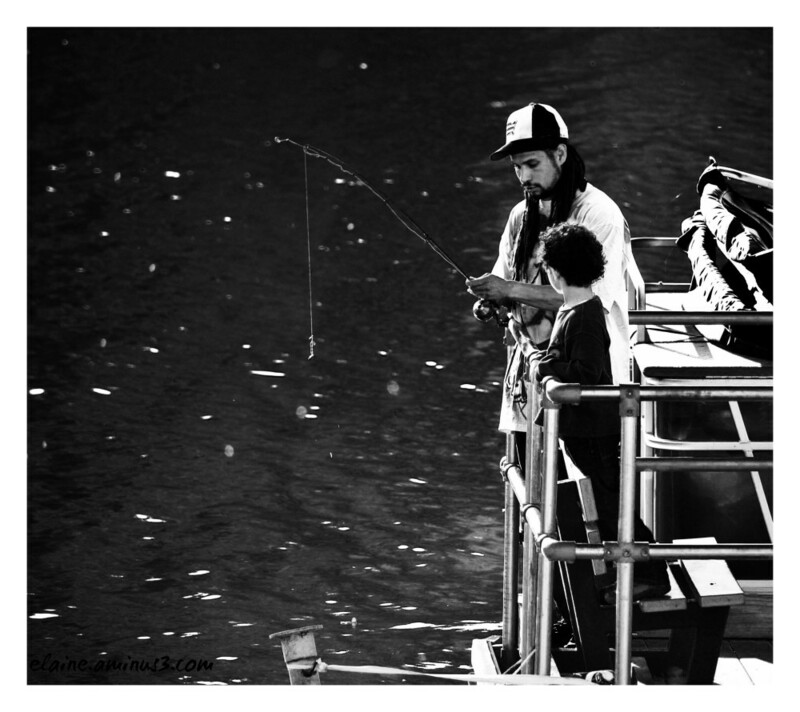 belle scène de vie.. joli en noir et blanc..
Lovely image of father and son. Real Mark Twain stuff here - well done. Beautiful ! Great light and monochrome contrast ! A nice moment of complicity well captured. The beautiful light highlights the protagonists on the darkness of the water. Love capture of the moment you share with us! Nice moment you've captured here, Elaine - works beautifully in black and white. Love this image - glad you chose B&W as it causes me to focus on the expression on the man's face as he teaches his son. Lovely scene and light; a nice tender moment captured! A fine black and white with good contrast. Good lighting on the fellow's face. Well done. Excellent scene! Superb light and B/W! There is something prime evil about catching your first fish. I think it sparks that hunter gather instinct, captured wonderfully. Il aprend la pêche à son fils sueprbe compo NB de ces pêcheurs. These luminous monochrome & scene are splendid.